Anniversary Mandala Cushion CAL – the reveal! As you can see, the front and back of the cushions I made are different, as I like a little variety. 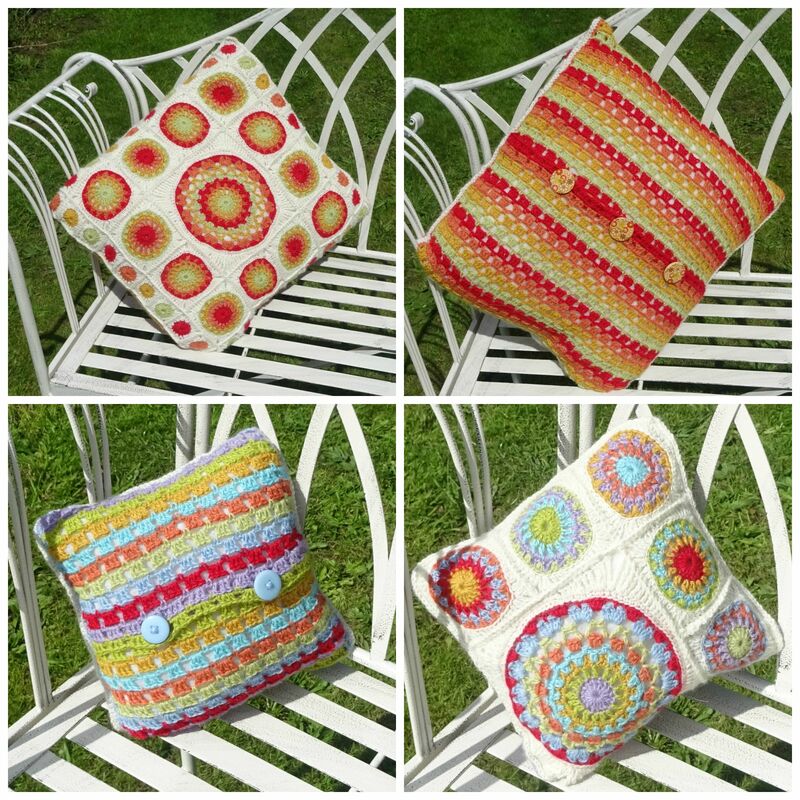 Of course, if you make a cushion you could make the front and back the same…….but which would you choose? They’re beautiful pillows!! I love the design! !